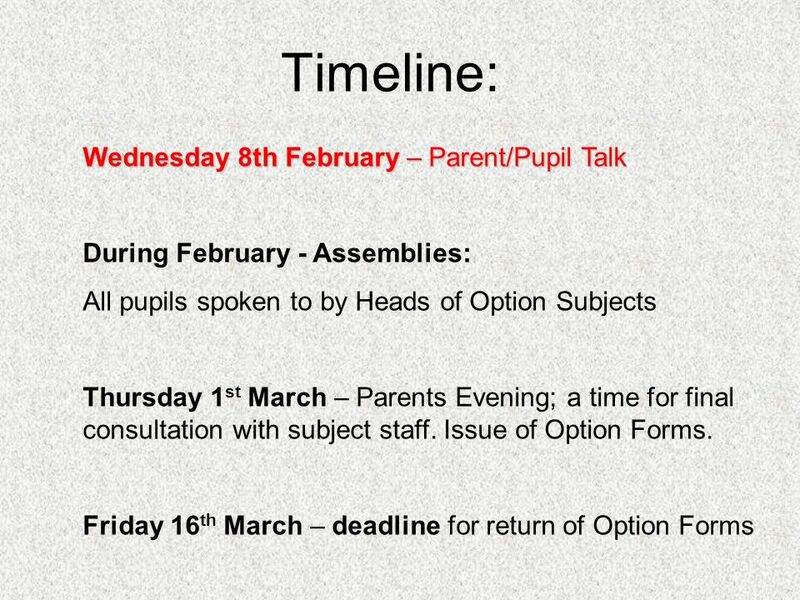 Timeline: Wednesday 8th February – Parent/Pupil Talk During February - Assemblies: All pupils spoken to by Heads of Option Subjects Thursday 1 st March. 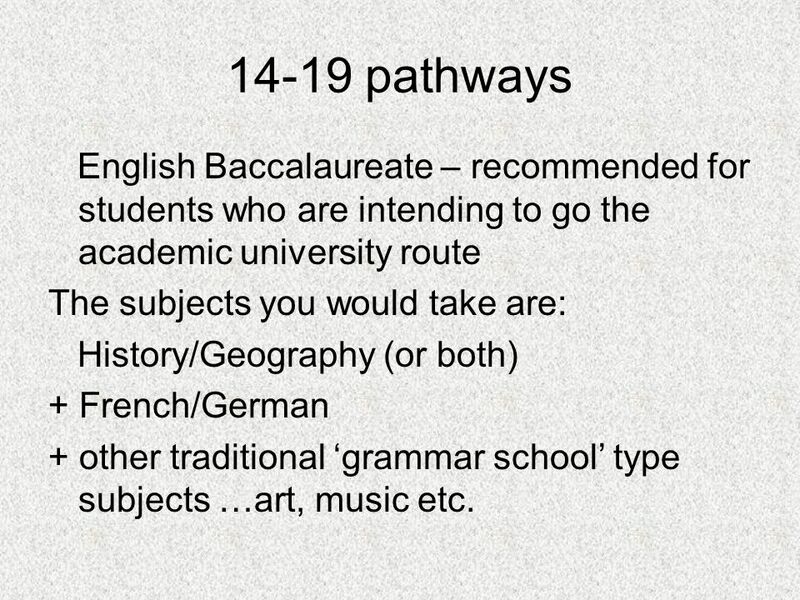 7 14-19 pathways English Baccalaureate – recommended for students who are intending to go the academic university route The subjects you would take are: History/Geography (or both) + French/German + other traditional grammar school type subjects …art, music etc. 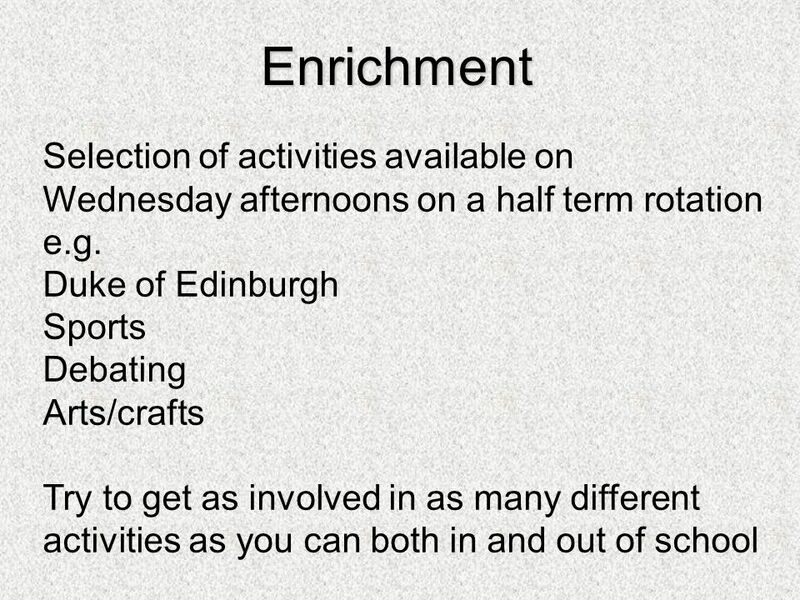 Download ppt "Timeline: Wednesday 8th February – Parent/Pupil Talk During February - Assemblies: All pupils spoken to by Heads of Option Subjects Thursday 1 st March." Year 9 Information Evening. 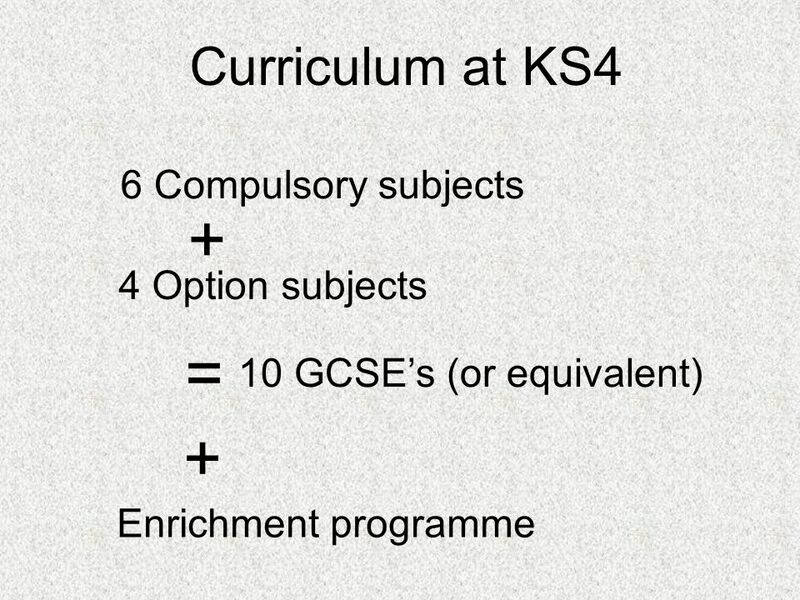 How is the curriculum organised? 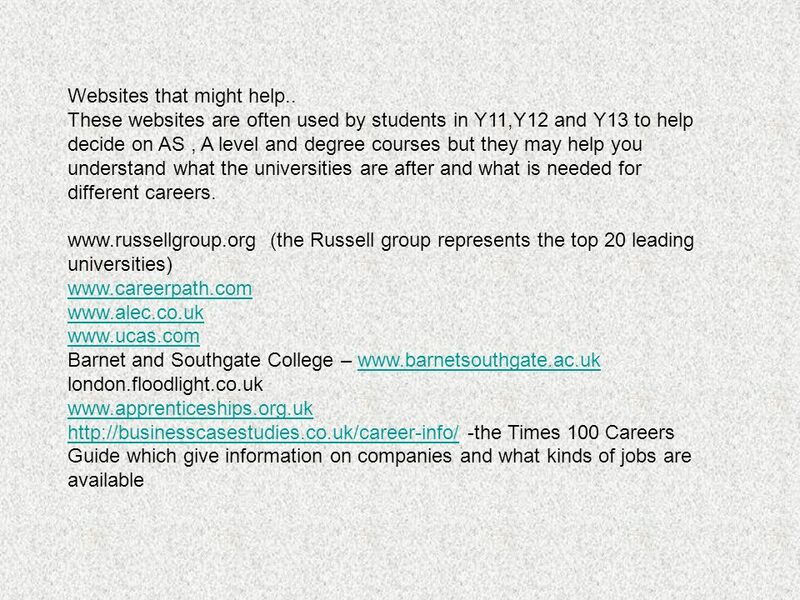 Core subjects that teach the skills needed for a changing world An average of 11 GCSEs A. 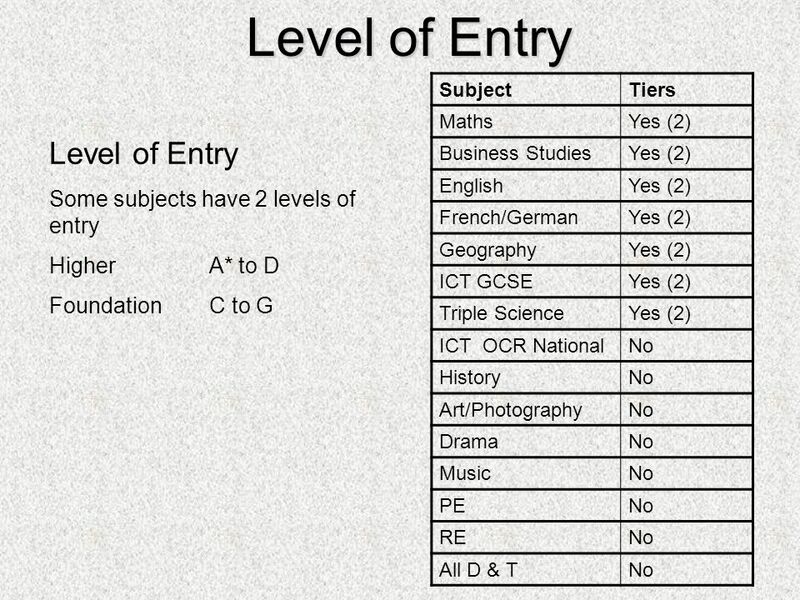 Options Evening 13 March 2013 KS3-4 Transition Programme. 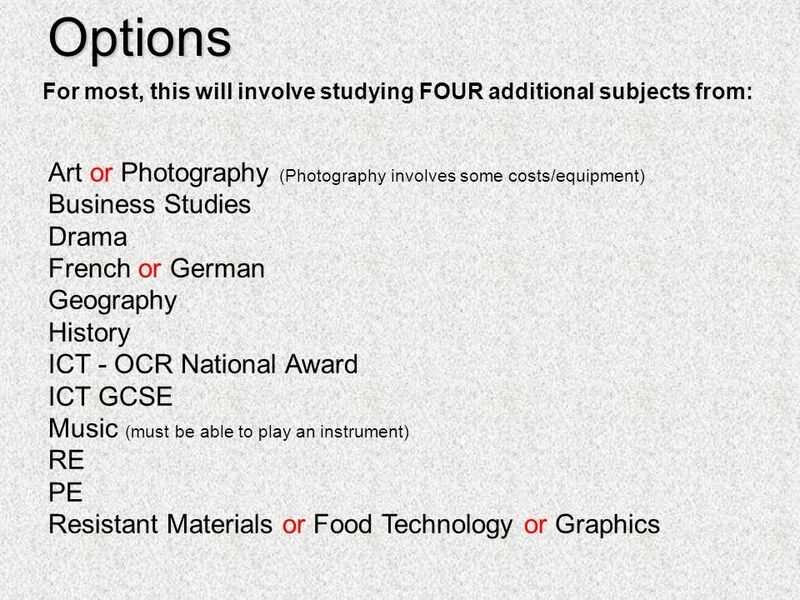 The Streetly School KS4 Options Evening 2011 – 2013 courses. Welcome to the Key Stage 4 Choices Evening January 10 th 2013 Welcome to the Key Stage 4 Choices Evening January 10 th 2013. Hartismere High School Information Assembly for Pupils in Year 9 Wednesday 3 rd December 9.00am Courses in Years 10 and to 2011. 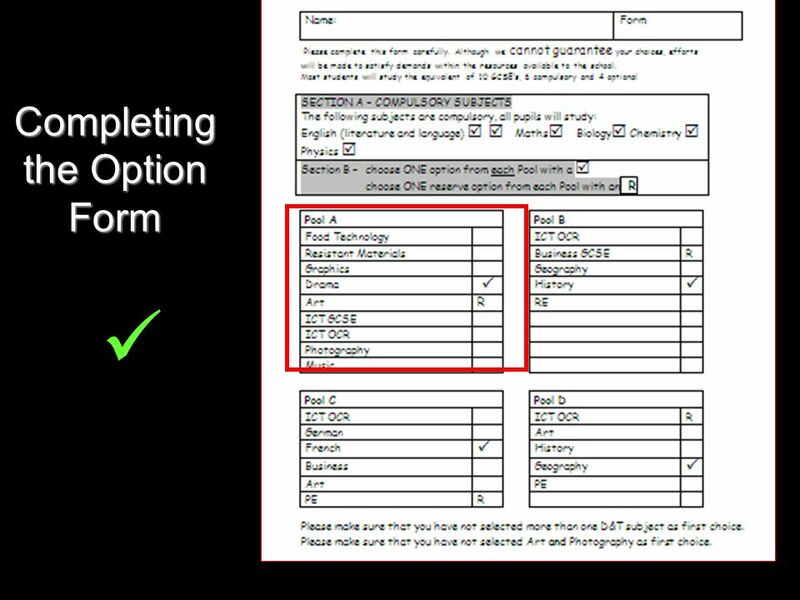 Assistant PrincipalMr.R.Kelsall Options. What is Key Stage 4? 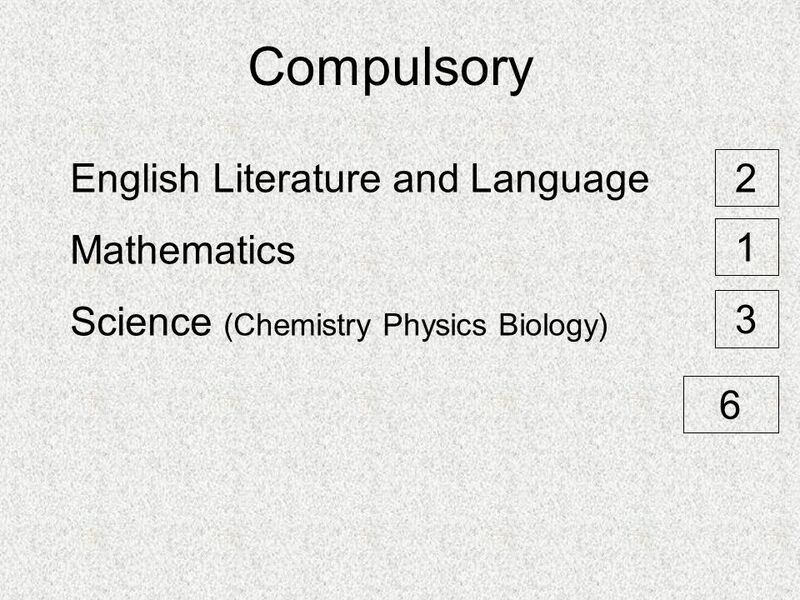  Begin studying material for Y11 exams  Each subject has a qualification  Less subjects. 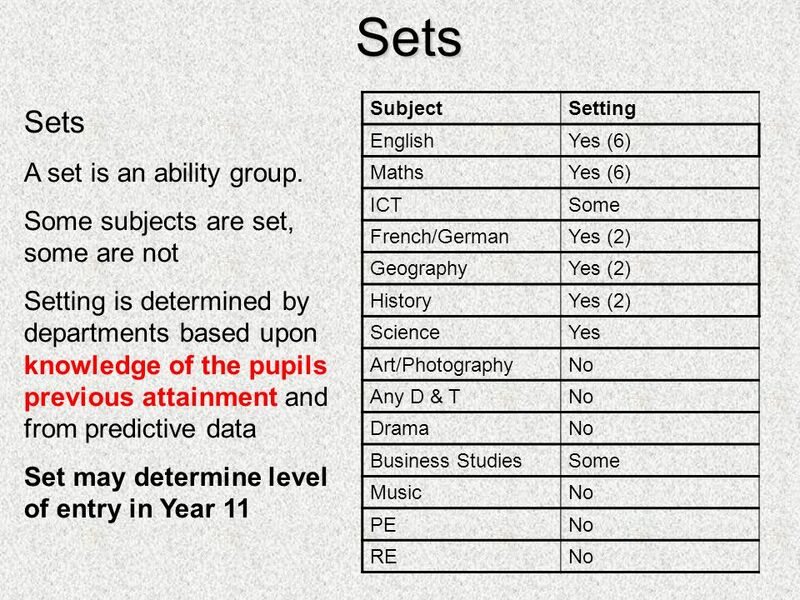 YEAR 9 GCSE Options Issues to consider 6 th January 2015. 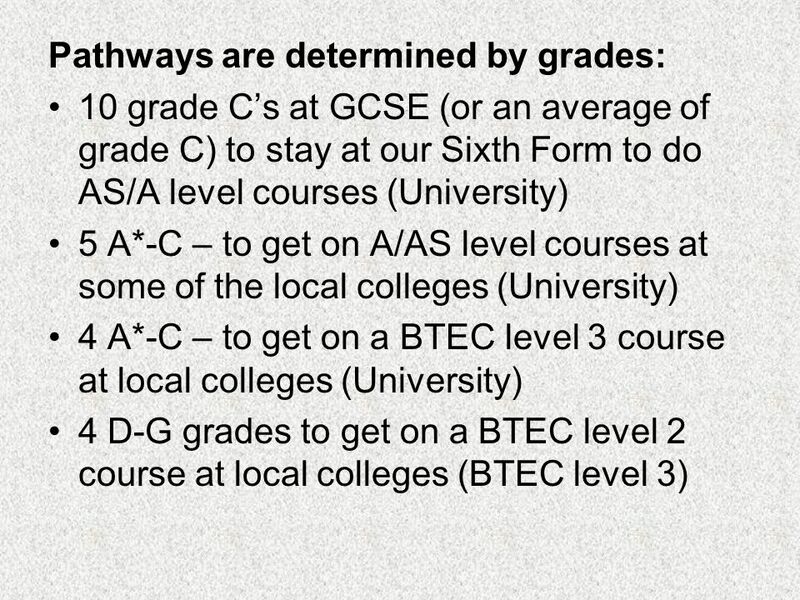 Year 9 Progression Evening 29 th January 2013 Time to Choose Your Pathway to Success!!! Ms Haynes Vice Principal Curriculum. 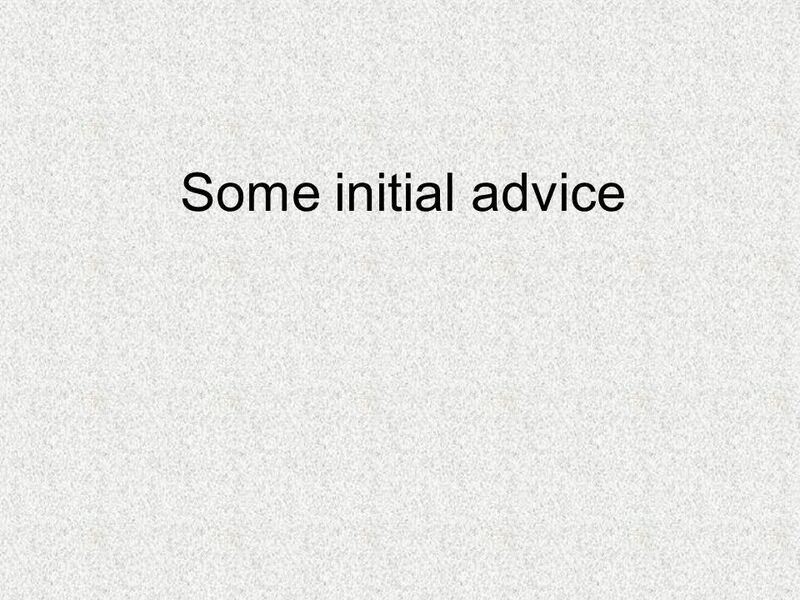 Welcome 1. Timeline Jan Feb March April Subject Assemblies Future Studies Lessons Talking to Staff and Parents Options Booklet Available Options Evening. 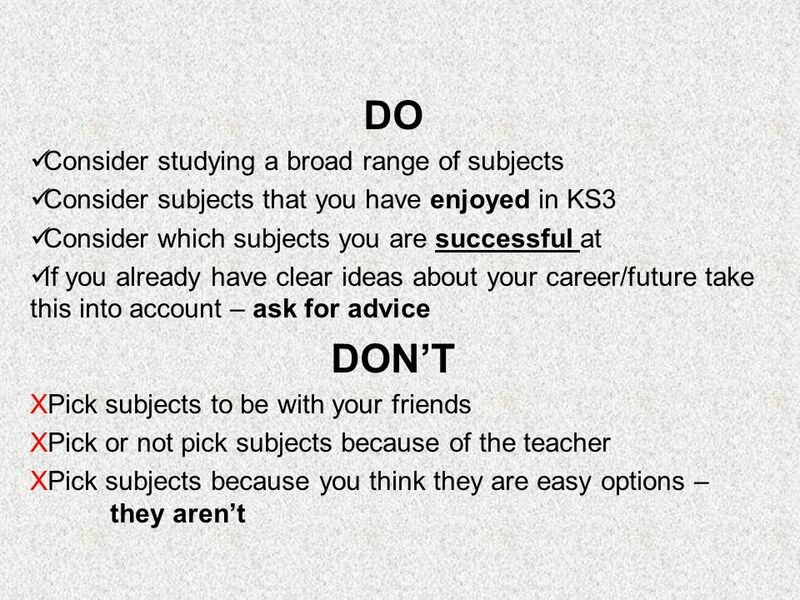 Year 10 Options 2013 – 15. 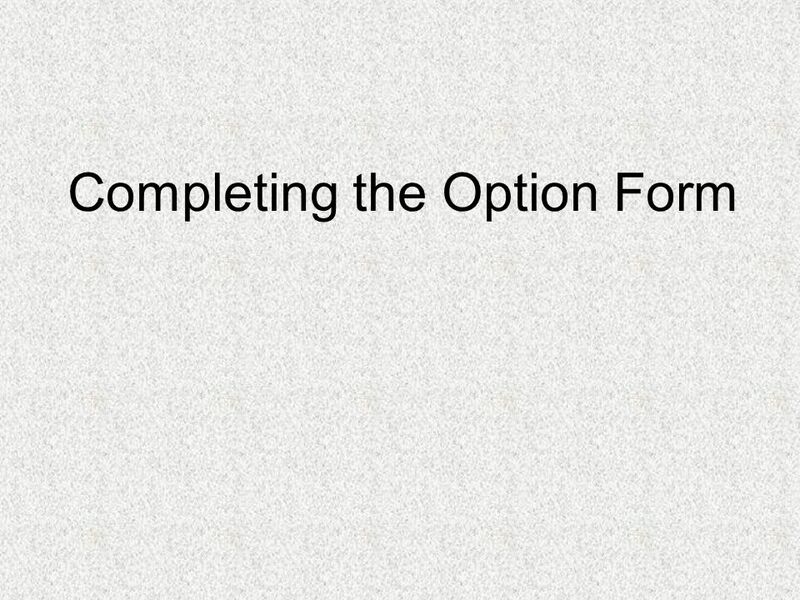 Aims To engage students with the options process To engage students with the options process To start students on the right. 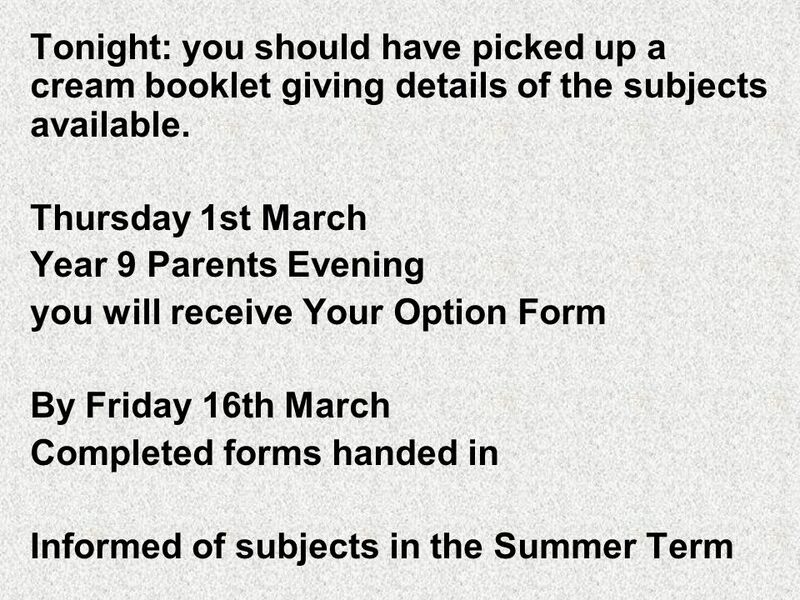 GCSE Options 2013 for 2014/2015 Information Evening for Year 9 Students and Parents. 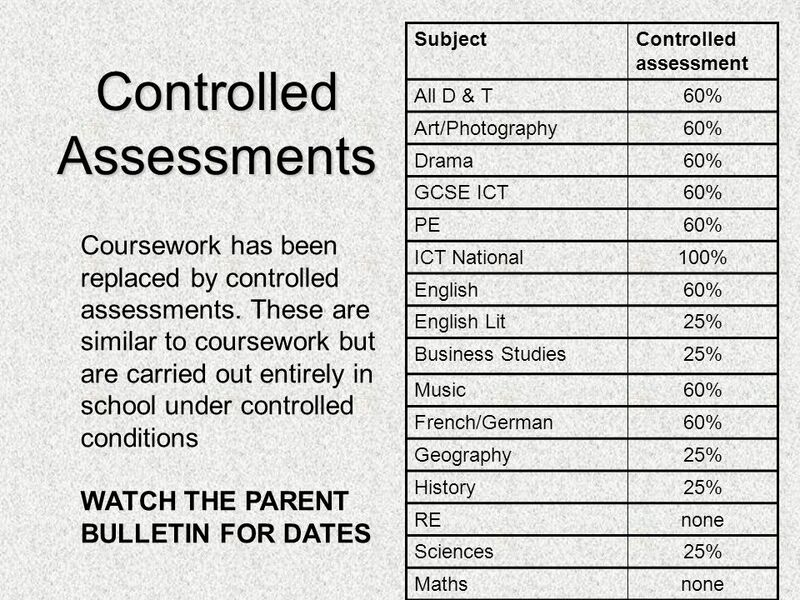 Options for Year 10 History? Spanish? Drama? Performing Arts? PE? Triple Science? Art? 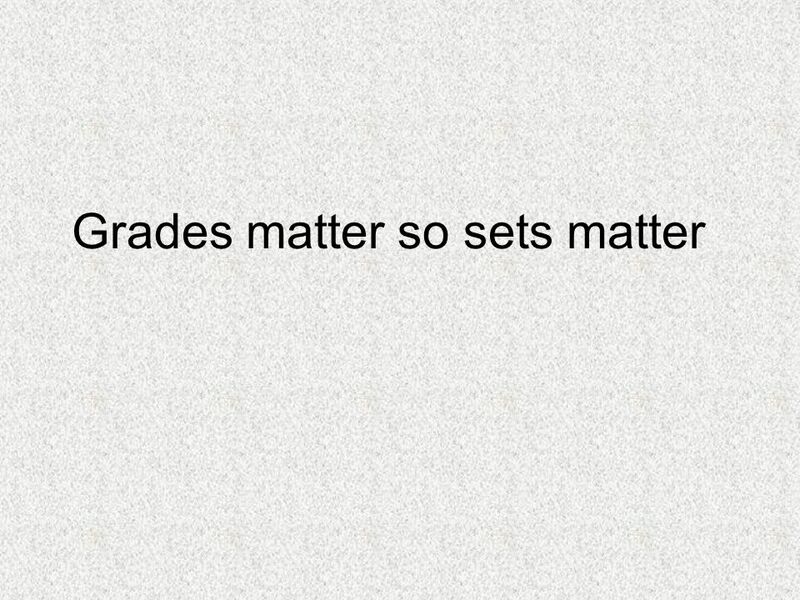 Textiles?